A place steeped in medieval history and swimming with museums and sights, Luxembourg is a fascinating city to visit. Whether you're exploring her vast complex of underground tunnels, marvelling at Roman mosaics in her National Museum or hiking through the green and pleasant Petrusse Valley, history buffs will feel like they've come home. Check out our collection of the best places to stay in Luxembourg to find out more! Founded in 963, the city was built between deep gorges fashioned by the Azlette and Petrusse rivers. By the 16th century, the fortress, built atop a great rock, was considered to be one of the most impregnable in Europe and by the 17th century, engineers had created a 23km series of underground tunnels where citizens would take refuge in times of war. Both of these sights are UNESCO-listed and are open to the public, even in spite of the castle's dismantling in the 19th century. In terms of museums, visitors are truly spoilt for choice. The Luxembourg City History Museum boasts a fantastic detailing of the city's history, while the National Museum of History and Art boasts arguably the most impressive Roman mosaic north of the Alps; as for art, check out the Casino Luxembourg Forum of Contemporary Art. The pedestrianised areas of the Old City are ideally suited to shopping sprees as they teem with high-end boutiques and antique shops; the streets themselves are old, and medieval houses seamlessly blend with the newer avant-garde architecture. Buildings like the Notre Dame cathedral stand stark and beautiful against the skyline, while the gorgeus medieval facades of buildings lie the Grand Duke's Residence shine brightly. Luxembourg is a truly international city for more reasons than one. With a population with over 170 nationalities, it is also the beating heart of the European Union, being home to the European Court of Justice, the European Investment Bank and the General Secretariat of the European Parliament. Head out of the city towards the Petrusse Valley and drink in the clean country air and majestic green scenery. Check out the Luxembourg City History Museum to immerse yourself in the city's rich and varied history! Visit the fortress and marvel at the superior workmanship! Stand awestruck at the beautiful Flemish Renaissance facade of the Grand Duke's Residence. For some art, check out the Casino Luxembourg Forum of Contemporary Art! Luxembourg is a fabulous city to visit, particularly if you're keen on history. Full of museums, fascinating UNESCO World Heritage Sites and picturesque streets, it is a delight to visit, and the best places to stay in Luxembourg will ensure that you visit again. 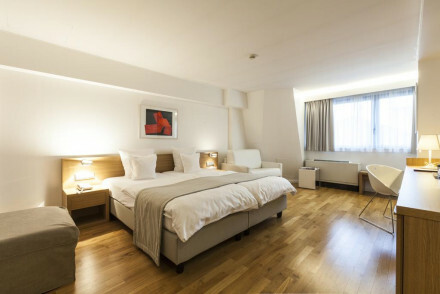 Hotel Simoncini: a lovely small hotel in the heart of the city, offering plush contemporary rooms with whitewashed walls and modern art. Great for families. Les Jardins d'Anais: a small and stylish hotel in a great location, offering rooms that blend modernity with traditional decor. Think creamwhite linens, antique furniture, pastel hues and parquet flooring. Expect fine dining at the restaurant and attentive service. Hotel Parc Beaux Arts: light, airy and utterly romantic, this hotel is ideally suited to couples. Light wooden floors, whitewashed walls and splashes of art adorn the rooms. The restaurant is sumptous and the sit-out terrace is incredibly relaxing. La Pipistrelle: offering jaw-droppingly indulgent breakfasts and beautiful rooms blending minimalist design and traditional aesthetics, with exposed stone walls and contemporary artworks. 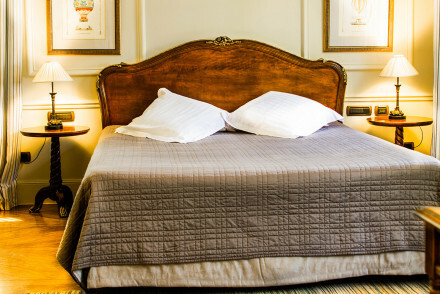 Le Place d'Armes: chic, romantic and intimate, this brilliant hotel offers gorgeous rooms that combine neo-Baroque furnishings and contemporary amenities finished with a designer flair. Fantastic French cuisine, outdoor terraces and a Michelin-star restaurant. The full 5 stars. Le Royal: a luxurious 5 star hotel in the city centre, offering comfortable and elegantly furnished rooms, gorgeous cityscape views, a pampering spa and a delightful piano bar. Totally divine, a haven of tranquility. The best time to go is during the summer, when the temperature ranges between 11 and 23 degrees. 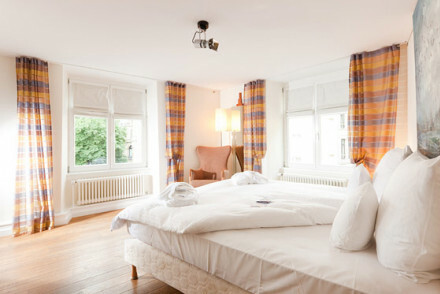 A chic boutique hotel in the heart of Luxembourg City. Contemporary rooms are light and airy with polished wooden floors, whitewashed walls, crisp white linen and modern art. Friendly staff are always willing to advise on where to visit and many of the city's attractions are just a stroll away. Local exploring - Ideally located in the heart of the city with many cultural attractions within walking distance. Sights nearby - Visit the majestic Grand Ducal Palace. A small stylish hotel ideally positioned in the heart of the city. Seven elegant and individually styled rooms have a pared-back traditional aesthetic with pastel hues, a choice selection of antiques and beautiful parquet flooring. Expect attentive service and fine dining in the chic restaurant. A light and airy boutique hotel designed for total relaxation. Romantic rooms and suites simply decorated with light wooden floors, white washed walls, and splashes of art. Fabulous restaurant and sit out terrace. A destination that soothes the soul. 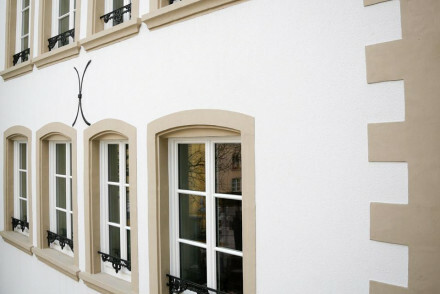 A chic boutique B&B in the heart of Luxembourg City. Four elegantly dressed rooms mix contemporary and traditional styles with exposed stone, minimalist furniture, whitewashed walls and contemporary art. Indulgent breakfasts are served and the city's main attractions are within walking distance. Local exploring - Located in the heart of Luxembourg City with many attractions within walking distance. Sights nearby - Visit the Grand-Ducal Palace famous for its Flemish Renaissance façade. Sailing - Spend the afternoon sailing on the lake of the Upper Sûre Dam. Great walks - Take long walks through 'Luxembourg's Little Switzerland'. An utterly romantic hotel with a Michelin recommended restaurant. Neo Baroque furnishings, contemporary amenities, and designer flair throughout. Fantastic French cuisine and outdoor terraces. A Five Star hotel. 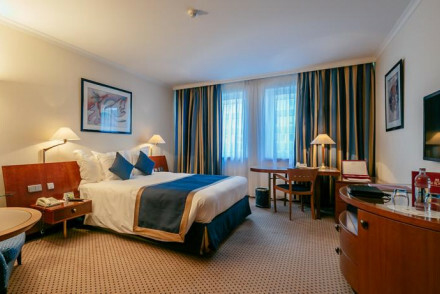 A plush five star hotel in Luxembourg city centre. Rooms are comfortable and luxurious with elegant furnishings and cityscape views. Relax in the hotel's extensive spa and in the evening enjoy a cocktail in the intimate piano bar. A great spot for those on business trips. Total relaxation - With five star service, elegant rooms and an extensive wellness centre, it's the perfect place to unwind in the city. Sights nearby - Just a five minute walk from the Place D'Armes.